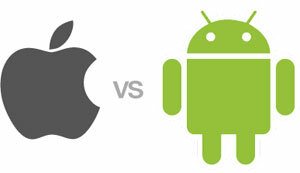 If you look for «Android vs. iPad tablet» in Google you will find many articles and discussions on what is best. In this article we want to talk about what to choose if you are looking for touch tablet for business needs because choose criteria are different for business. AlfaRichi works in electronic point of sale industry and touch tablets are an attractive alternative to traditional touch terminals. 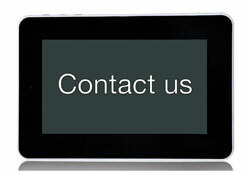 Now we provide a professional and complete point of sale solution for Android tablets. But before starting the development process for touch tablets we were also about thinking what is better — Android or iPad. We thought about what will be better for our clients — shops, concessions, franchises, retail merchandising units also known as RMU, mobile sale, wholesale and others. iPAd and Android functionality is very similar — it depends on software solutions and not so much on hardware. Stability is also the same. Many more variations of touch tablet design exists with Android touch tablet because there are many producers for Android touch tablets (like Samsung, Advent, Motorola, Sony, HTC…) but only one producer of iPad which is Apple. You can choose a design which corresponds more to your interior design and taste. Android is open source system and software development companies don’t need to pay for using it — this makes solution cheaper. There are many more software companies and single software developers who develop for Android and it is fast growing operating system. And the main reason — Android is CHEAPER. 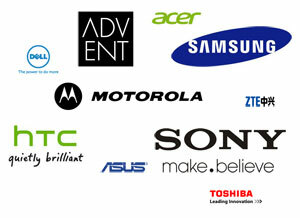 Different hardware producers lead to active price competitive. The price is very important for business because usually you will need to buy more than one device. And prices for Android devices are continuing to go down, which is not the case with Apple iPad.